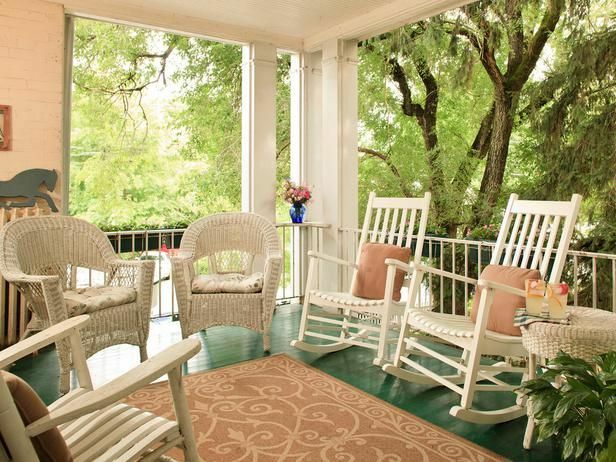 White wicker chairs, pastel pinks and soft greens make for a soothing sit-down on this front porch at Thomas Shepherd Inn in Shepherdstown, W.V. Whether you are on your own front porch or a guest at a place like The White Doe Inn in Manteo, N.C., it really revitalizes one’s senses to unplug. 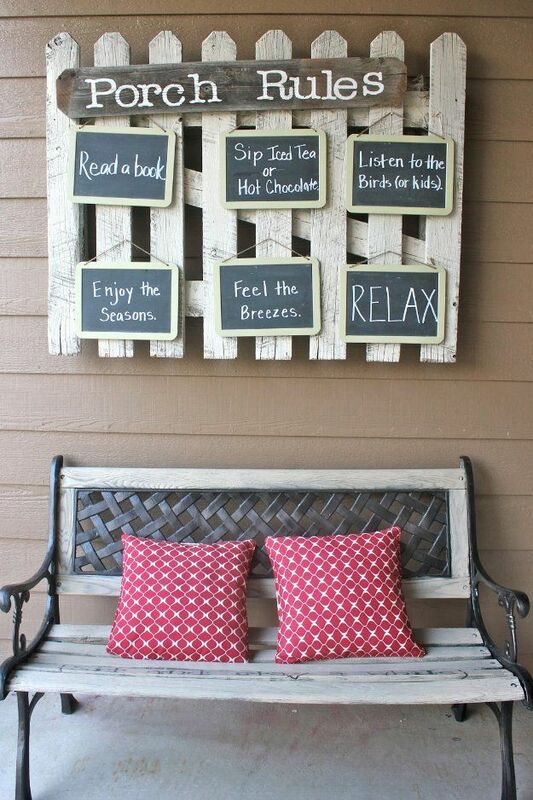 Pull up a chair, share some sweets and unwind. 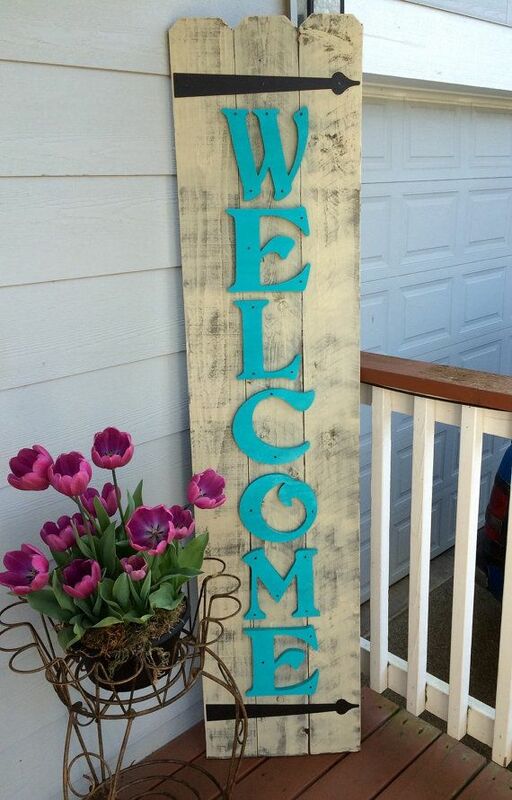 Home-decor blogger Melissa Riker of The Happier Homemaker believes that beautifully styled porches don’t have to be big on space or budget. 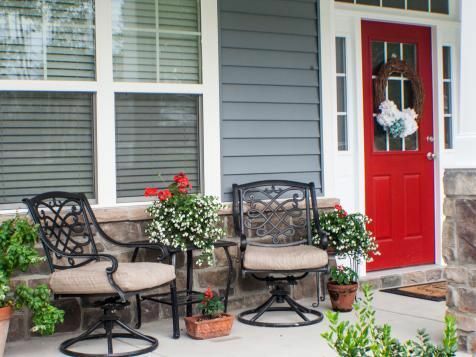 This small open entryway porch is made warm and inviting with a simple neutral seating area and an abundance of flowering plants to complement the colors of her home. 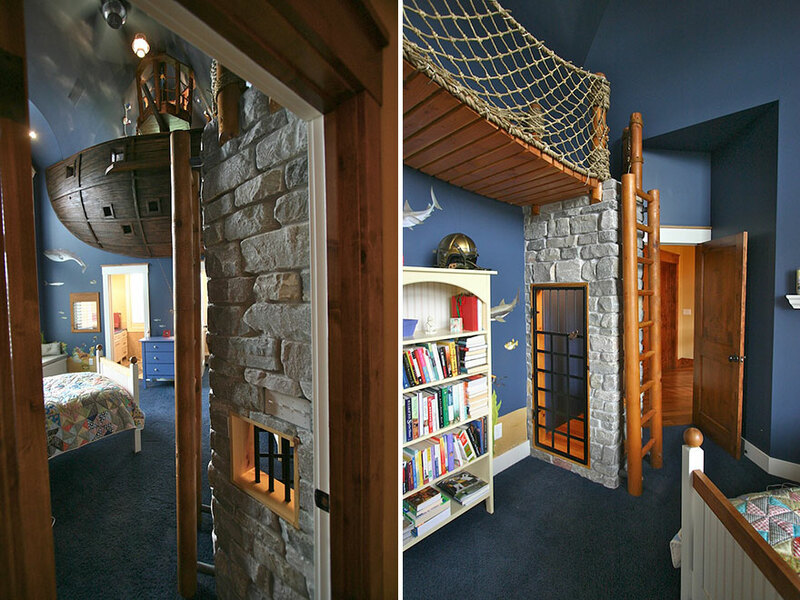 Imagine a relaxing afternoon or evening listening to nature and gently swaying back and forth on this swinging daybed from Woolrich Home. 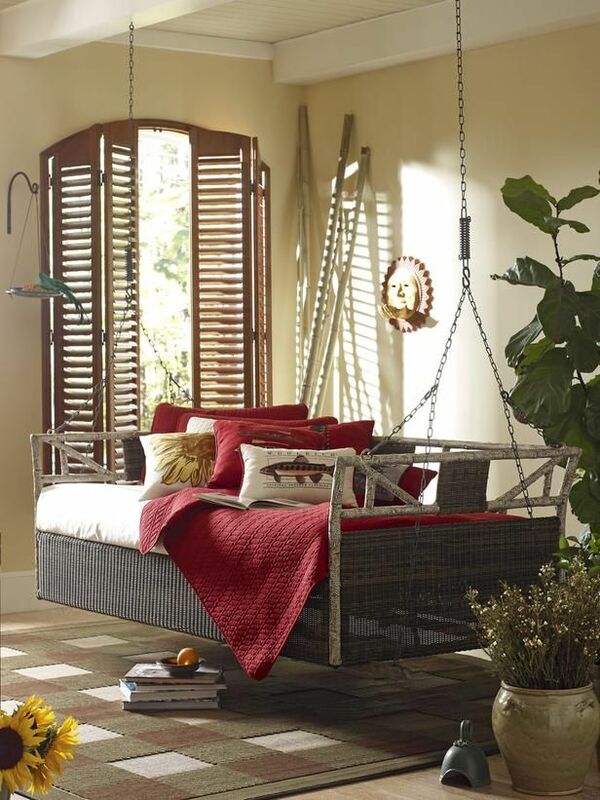 The sleeping porch swing is durable yet has a sweet rustic charm. It is crafted from resin over aluminum and designed to look like natural birch branches. 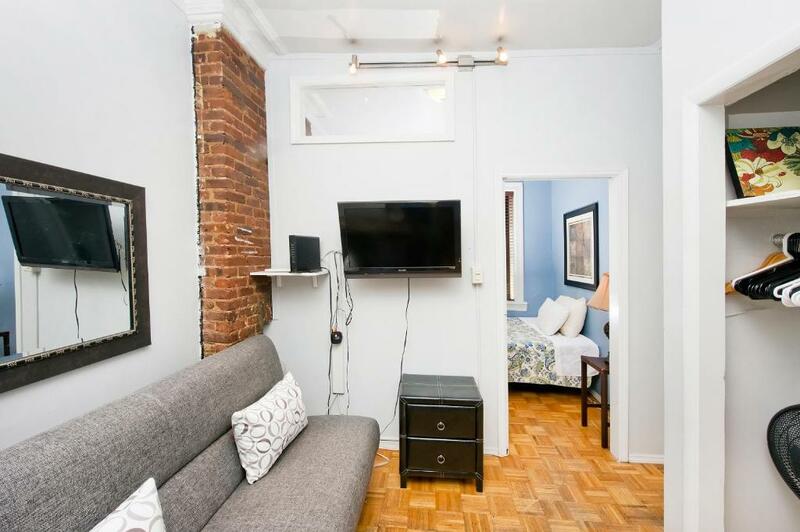 The cushion is the same size as a standard twin mattress. The walkway of this Savannah home has a place to stop and rest before you get to the front porch. It was designed by Paula Wallace, the president of SCAD (Savannah College of Art and Design). It is a perfect place to enjoy a sweet afternoon tea or the cool night air after dinner. This front porch dining room gives a whole new meaning to eating alfresco. The furniture is from Kincaid’s Homecoming Vintage Pine Collection. 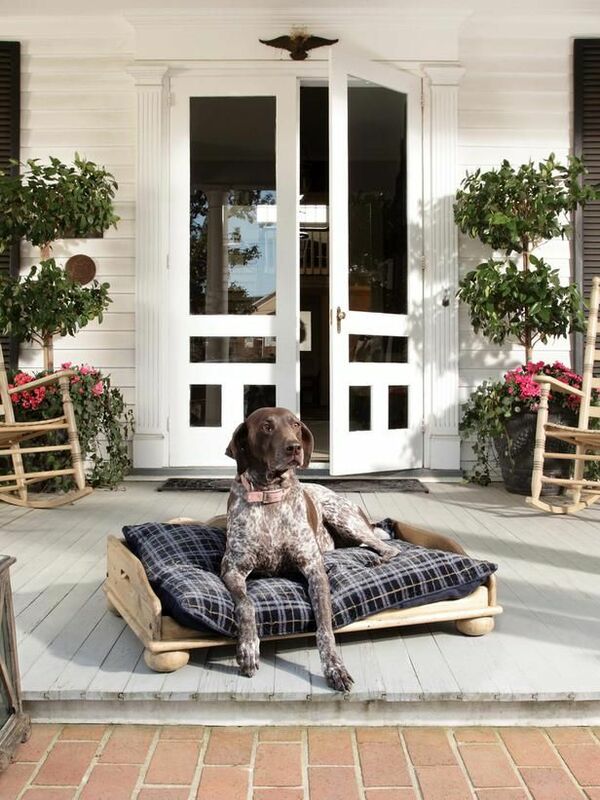 The guard dog can welcome guests to the front porch. The furniture shown here is from Kincaid Furniture’s Homecoming Vintage Pine collection. 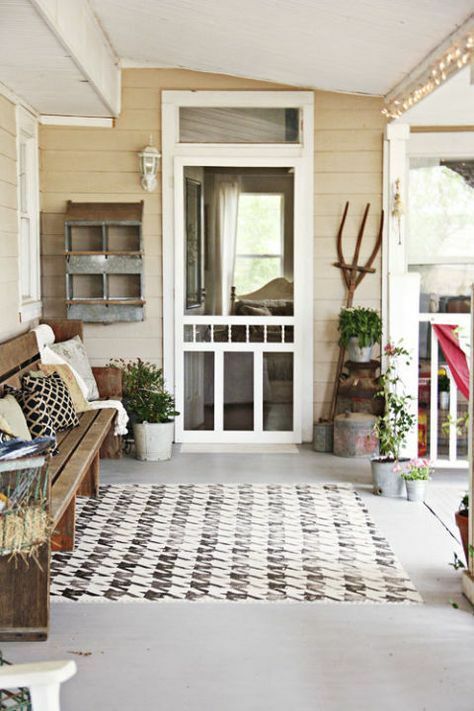 Beth Bryan, designer and blogger at Unskinny Boppy, uses her porch as an extension of her home. She used an old ladder and Mason jars to create a chandelier over her outdoor dining table. On cool nights, the owners of this North Carolina mountain home enjoy keeping warm by their outdoor fire. These rockers are part of Woolrich Home Chatham Run Rocker collection. 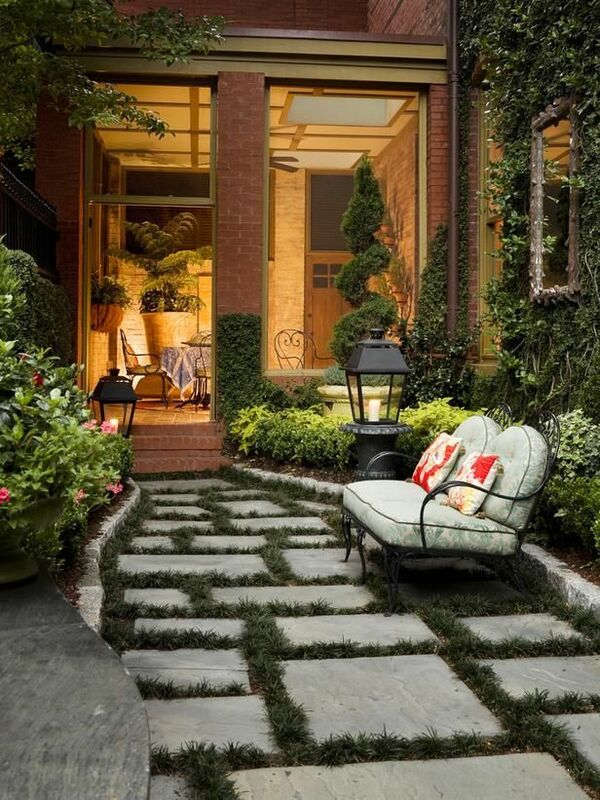 Designer Nicole Yee, of NY Interiors, created this open porch for a client who wanted to enjoy a quiet shady spot. The antique Moroccan furniture was coated with urethane to prolong its life in the outdoors. 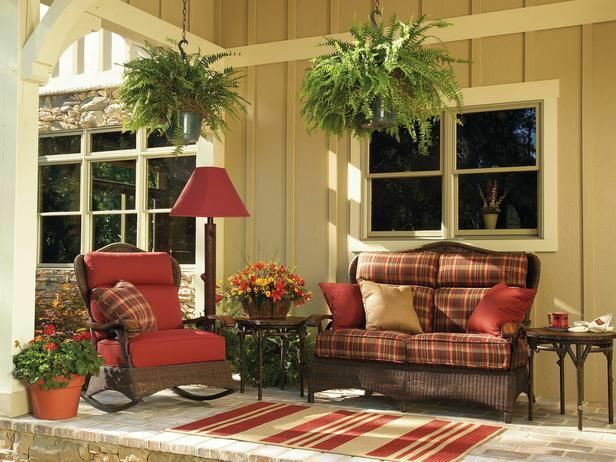 The outdoor-friendly pillows, cushions and trim are made by Duralee, and the custom draperies are from Sunbrella. 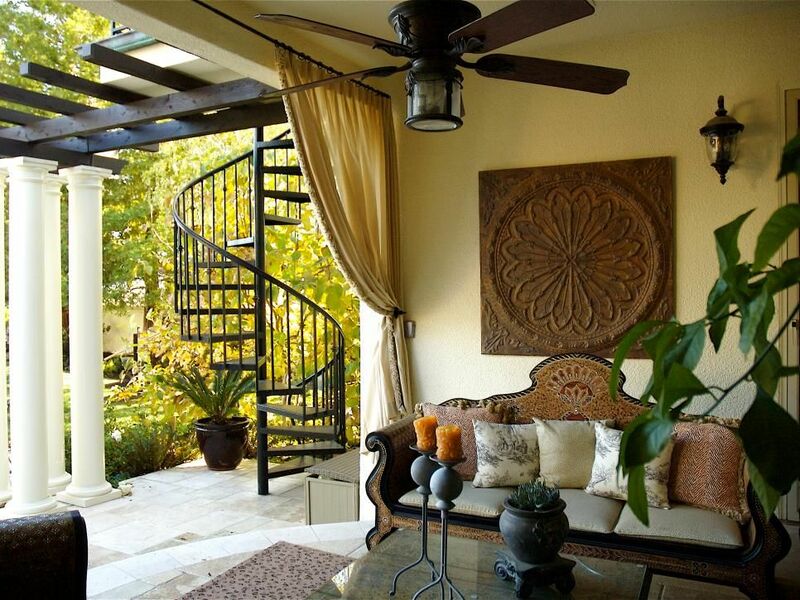 An outdoor rug, zinc candleholders, metal art and plantings finish the look.